Kelly Ann Braun said it best. And we all laughed. Me the loudest, because back then I had thought the same darn thing. Corporate education reform is on its last legs. Once we tell people about the terrible mistakes of standardized testing and Common Core, it will all be over in an election cycle or two. Kelly, that incredibly dedicated member of the Badass Teachers Association (BATs) from Ohio, hadn’t been the only one. It seemed so reasonable back then. Once it became common knowledge, our leaders couldn’t keep perpetuating policies that harm our children, we thought. No one would actually continue to stomp on the futures of our little kids once we’d pointed out that that was what they were actually doing! Right? 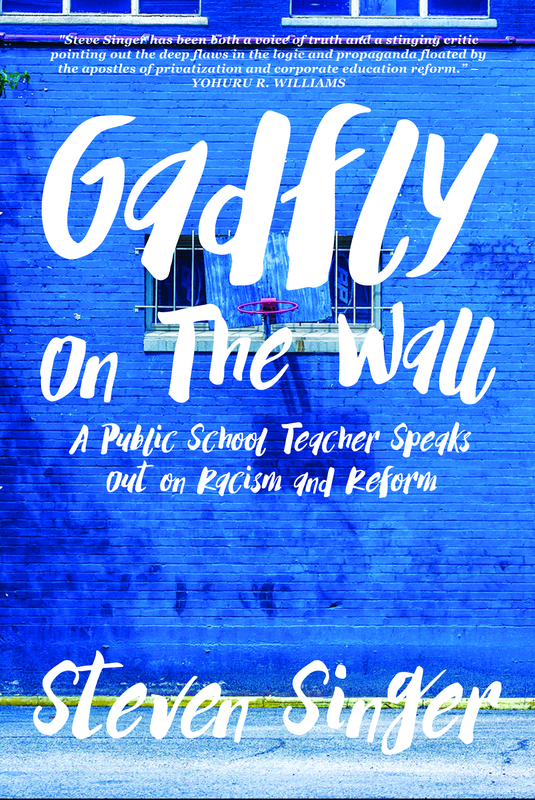 Now the Network for Public Education is having its third annual conference – this one in troubled Raleigh, North Carolina. And far from being on its last legs, the testocracy is mightier than ever with a new federal education policy, the Every Student Succeeds Act, rebranding and refreshing its same horrific disdain for the young. But that’s not really news, is it? The powerful have always tried to find ways to keep the poor and minorities under heel. It’s a struggle as old as civilization, itself. Yes, us – the ragtag band of rebels and revolutionaries who gather together every year to celebrate our victories, lament our losses and plan for the future. This is a real community – stronger than anything I’ve ever experienced. During the year we all have our separate support systems, be they Badass Teachers, United Opt Out, our teachers unions, our communities or – for many of us – some unique combination. But once a year we all come together from our separate corners of the country (and in some cases beyond) to commune, to gather strength from each other so we can carry on the fight. I cannot express to you the power and the glory I got this morning listening to Chicago parent activist Rousemary Vega talking about the pain of losing her children’s community school. This is still a raw wound for her, gushing blood. One moment she was heartbreaking sorrow; the next she was frightening strength and determination. She told us how to learn from her example, how to put up a fight, how to make it as difficult as possible for anyone to ever do this again. And when she was done and I had dried the tears that she had somehow cried with my eyes, I found that I had a tiny Rousemary inside my heart. I will never forget her story. I hope I can call on even a fraction of her strength. Later I sat in on a conference about Competency Based Education. Two of the founders of United Opt Out, Denisha Jones and Morna Mcdermott, gave the best presentation on the topic I have yet heard. This is the future of standardized testing. It goes something like this: you don’t want a big high stakes test at the end of the school year? Okay. How about we sit your kids in front of a computer all day, everyday, and they can take endless high stakes mini-tests? Morna would keep apologizing that what she was saying sounded too far-fetched to be true, but then she’d prove its veracity. Subsequently, Denisha explained how proponents of this new educational scheme had slipped this all under our noses by redefining and co-opting language we all thought we knew. You want “individualized” education? Fine! Kids can sit by themselves as individuals and take these standardized test snippets – in perpetuity. I left them with a much clearer understanding of how this was happening and exactly what kind of push back is necessary. Perhaps most inspiring so far though was the keynote address by the Rev. William Barber, president of North Carolina’s NAACP and organizer of Moral Mondays. He put the whole fight in perspective. History, philosophy, economics, religion all mixed together into a picture that would have been grim if he hadn’t made it so beautiful. Our children are being harmed by the standardization and privatization of public education. The ones hurt the most are those who are poor and minorities, but that doesn’t make them any less “our” children. This fight can’t just be about your school and your child. We have to love and care about all children and all schools. Only then can we really have a public school system worthy of the next generation. Finally, the moment came when I couldn’t just sit in the audience and passively take all this in. I was actually on the program – I was part of a bloggers panel! It was called “Blogging and Other Tools to Educate, Persuade and Mobilize Targeted Audiences.” It featured the amazing talents of Julian Vasquez Heilig, Susan DeFresne, Dora Taylor, Anthony Cody, Jonathan Pelto and – somehow – me! It was the first time I had presented anything at one of these conferences. Sure I’m in front of my students every day, but this was a room full of adults, many with PhDs or more, who really know what they are talking about. I had agonized over what I was going to say, wrote out a few remarks and then was told by fellow BAT and activist Gus Morales that I shouldn’t read it. I should just go with the moment. That’s what he says he did during his TWO TED Talks! I practiced. I tried it his way, but I just couldn’t make it work. So when my time came, I compromised. I talked off the cuff when I could and then returned to the script when I couldn’t. And so another year’s worth of inspiration has ended – all stuffed into that first day. We’re a different group than we were last year. We’re more somber, perhaps. Maybe a bit more seasoned, more knowledgeable. There’s a sadness that society hasn’t joined us to crush those who would harm our children. But there’s also a renewed commitment to the struggle. A feeling of our place in history. We hear the marching feet of those who came before. We see their pale upturned faces, their sad smiles. And somewhere in the distance that may be the sound of our own children marching in our footsteps continuing this same fight. We will have victories. We may end high stakes testing. We may abolish Common Core. But we may never see the promised land. One day perhaps our children will get there. And the only thing we have to propel them to that place is our love and activism. At the Network for Public Education, you begin to realize these are really the same thing. Thank you for always sharing so generously. I very much appreciate your work. Thanks for giving voice to our feelings about the inspiration and connections found at the NPE Conference!